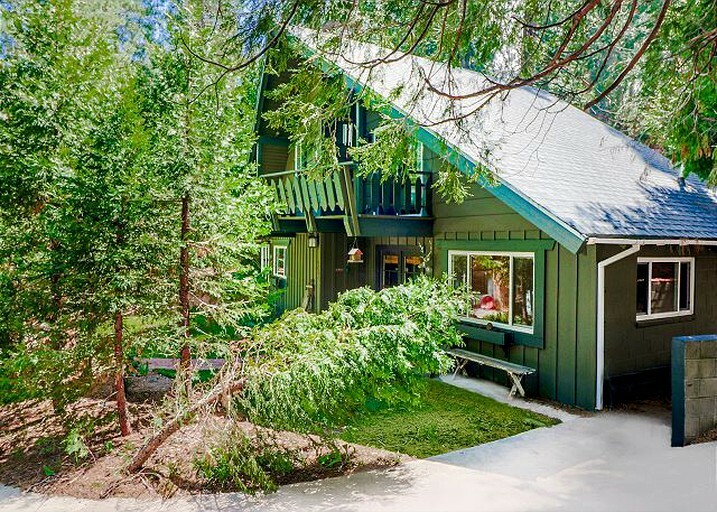 This California camping cabin near Lake Arrowhead sleeps up to eight people, making it ideally suited for families and large groups. 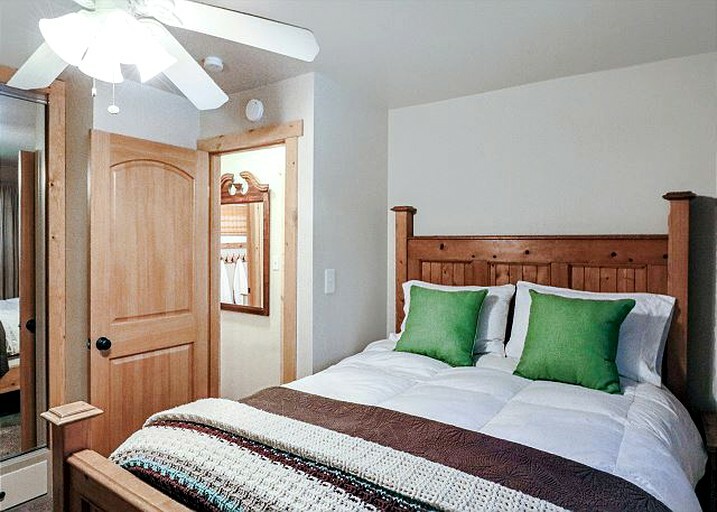 There are three bedrooms with a total of one king-sized bed, two queen-sized beds, and a futon. 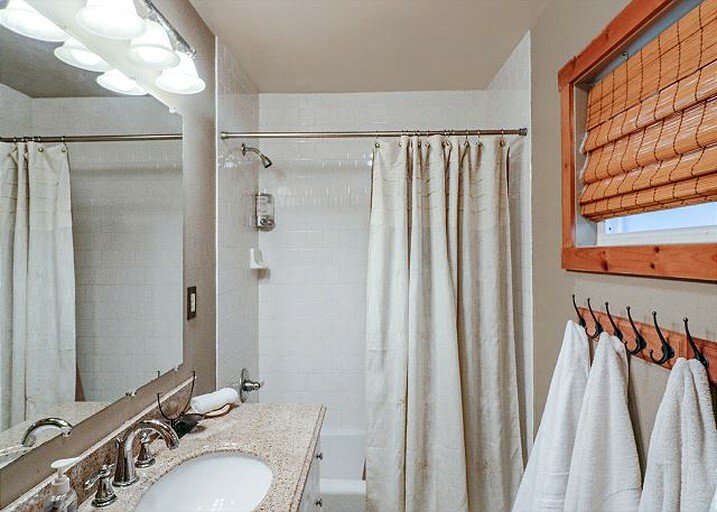 There are two full bathrooms, and linens are provided. 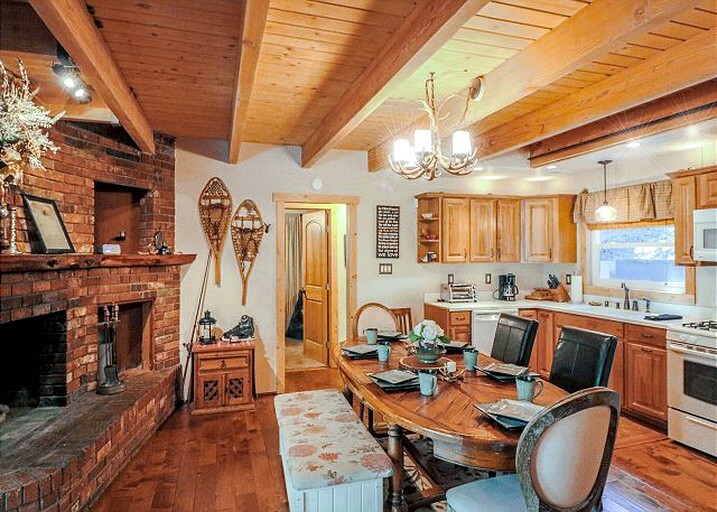 This charming cabin has a wood-burning fireplace to maintain its cozy atmosphere. 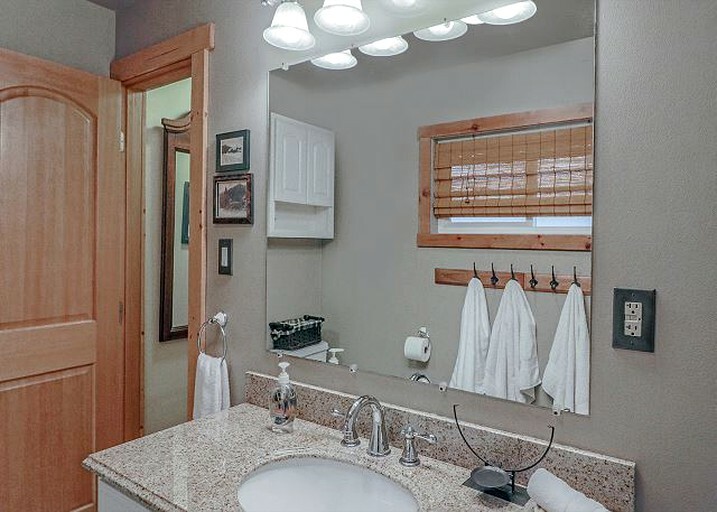 A washer and a dryer are provided for the convenience of guests. 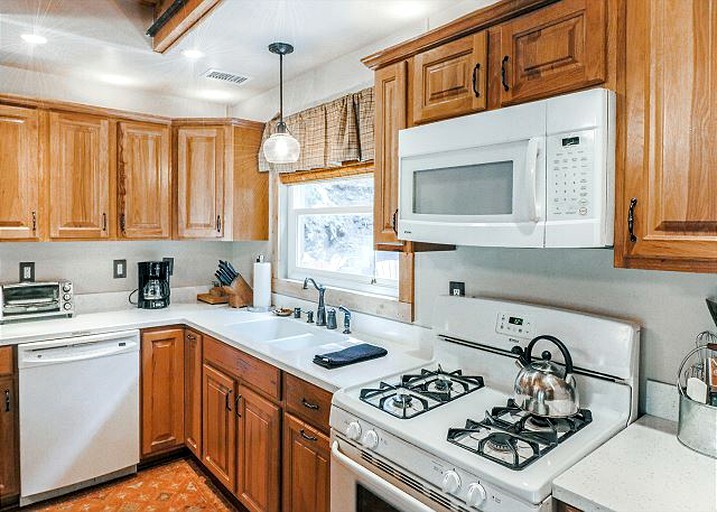 The full kitchen has stainless steel appliances and includes cooking utensils, a refrigerator, a dishwasher, a microwave, and a coffeemaker. 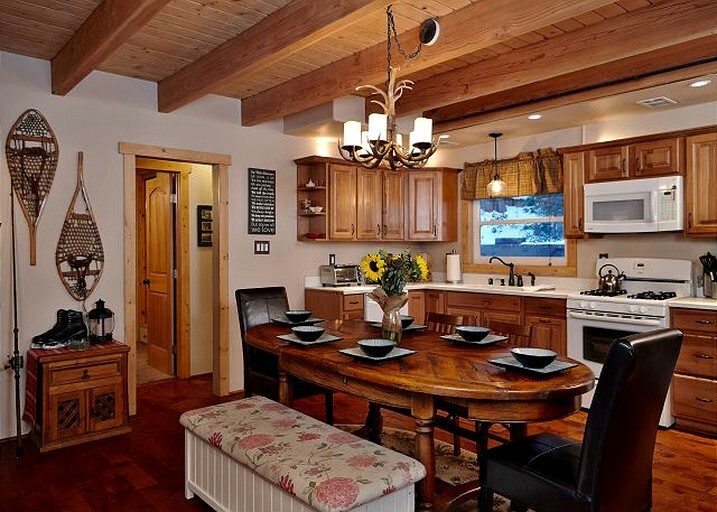 There is also a comfortable dining area for group meals. 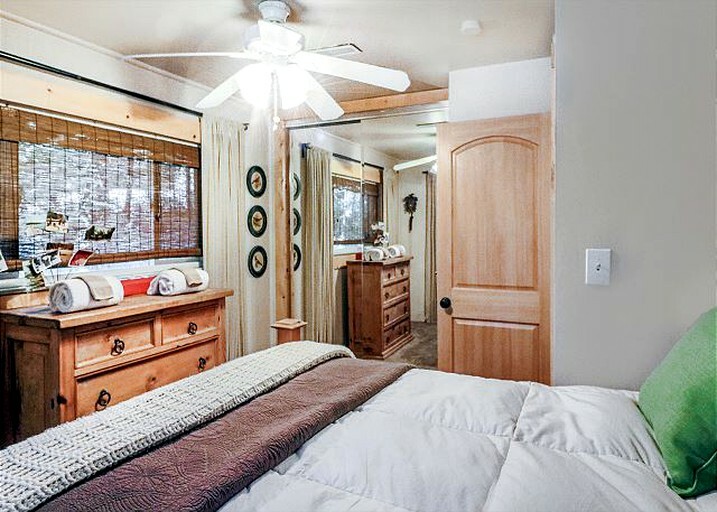 To ensure that guests will not miss any modern technologies, there is a flat-screen television with internet, an Xbox 360, and a karaoke machine in this glamping cabin. 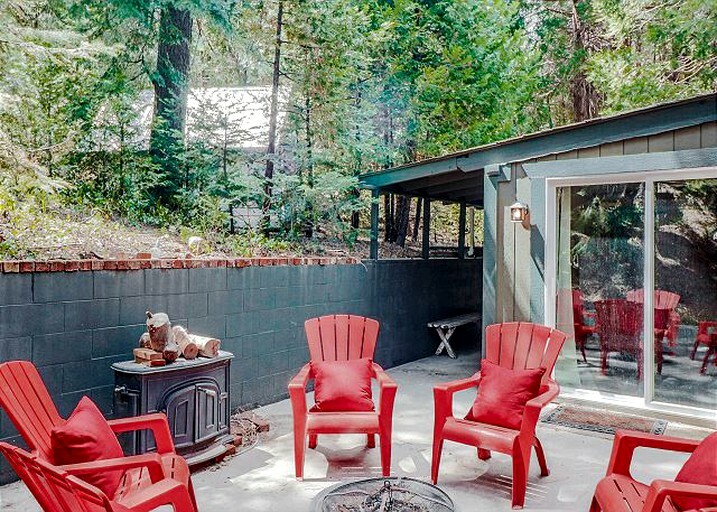 Spending time outdoors is made easy with the private master deck, patio furniture, barbecue grill, and an outdoor gas firepit at this glamping destination. 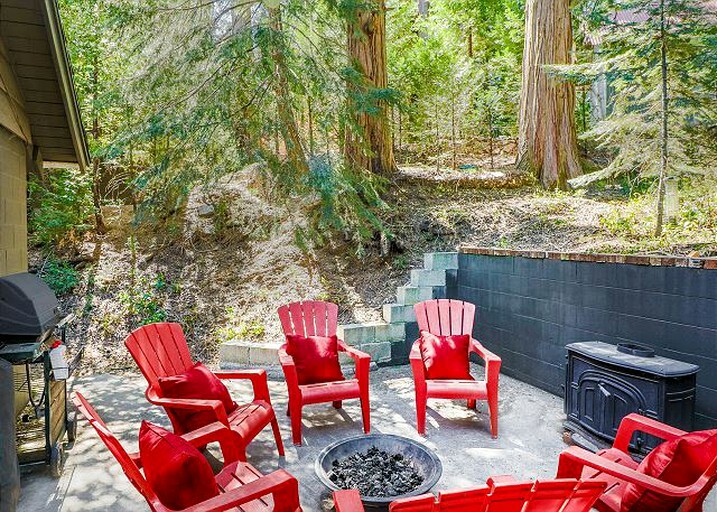 Guests can enjoy secluded privacy while they soak in the great outdoors. 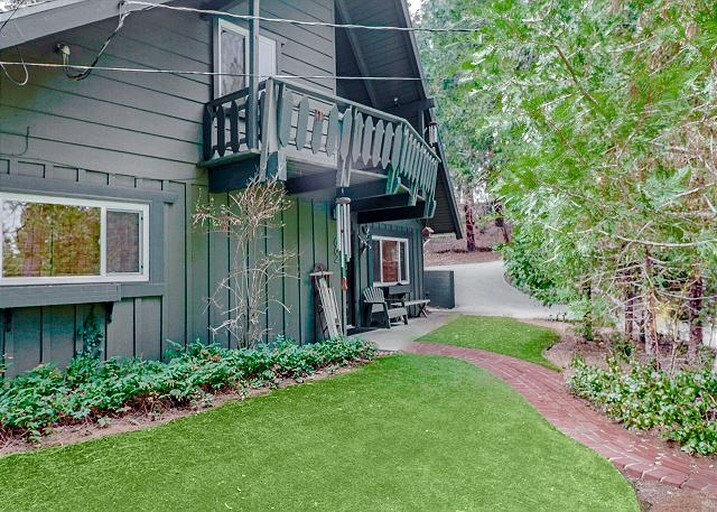 Finally, there is also plenty of parking at this vacation home rental. 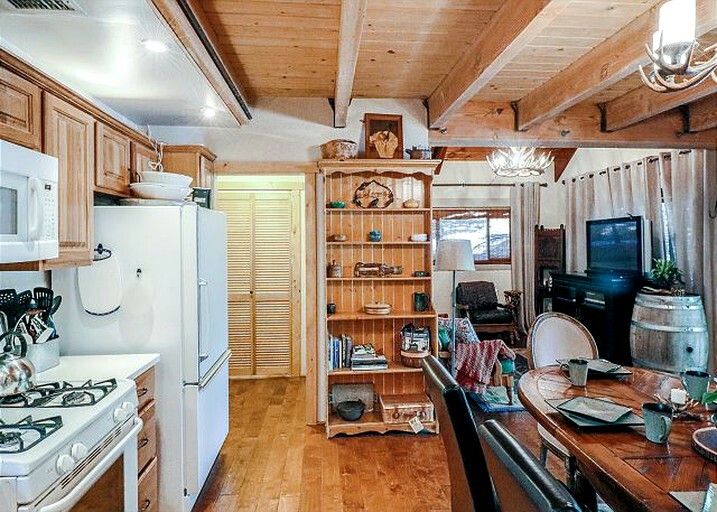 The following amenities are included at this glamping accommodation: a flat-screen television, a wood-burning fireplace, a washer and dryer, an Internet television, a Xbox 360, a private master deck, a barbecue, patio furniture, and plenty of parking. 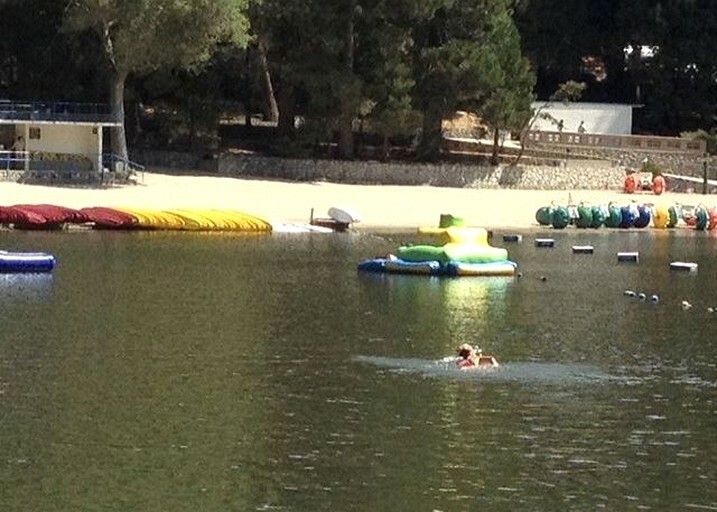 There are plenty of opportunities to have fun in the great outdoors at this California glamping location. 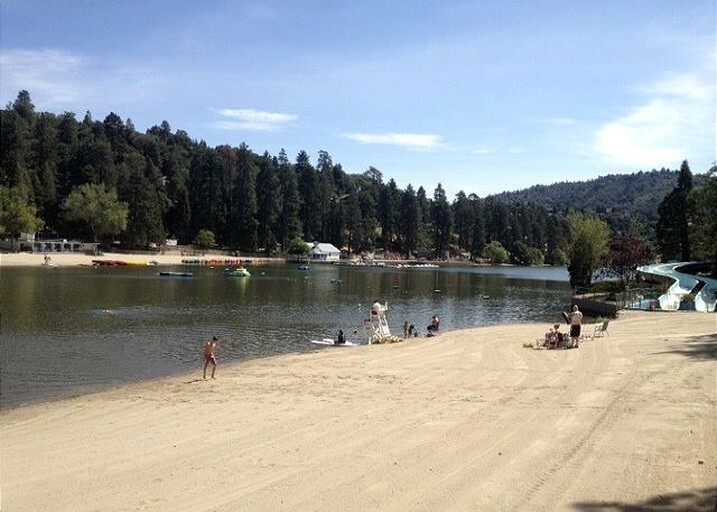 Lake Gregory is only s few miles away and has a sandy beach which guests will delight in. 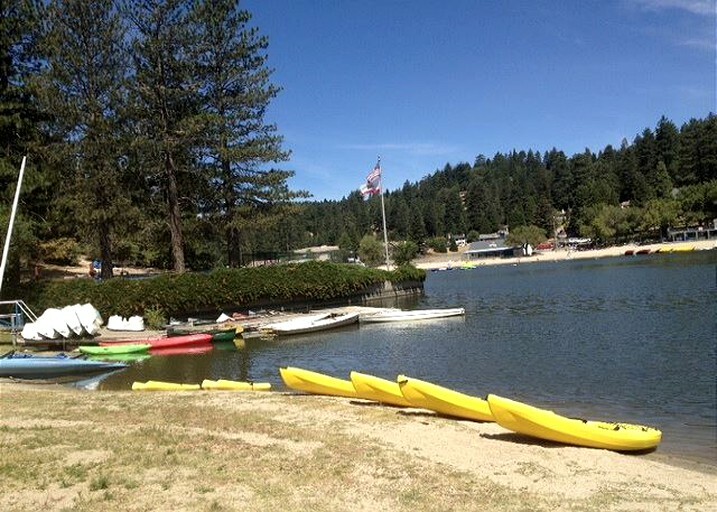 It also offers paddleboating, canoeing, fishing, swimming, hiking, skiing, and more, which makes it ideal for those who enjoy being active. 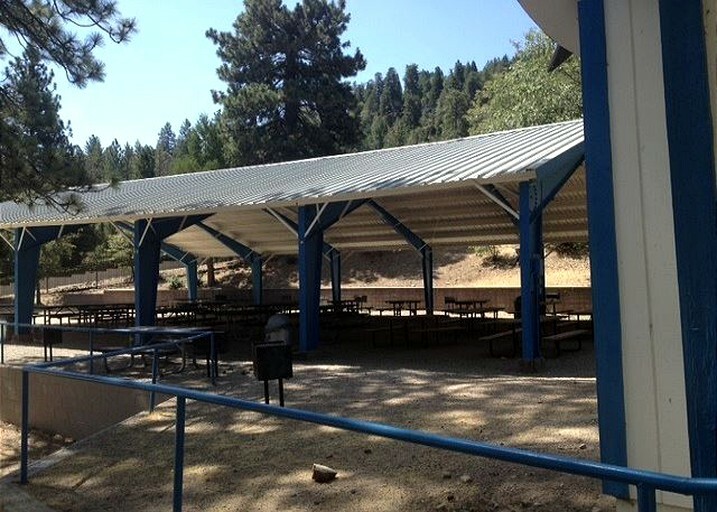 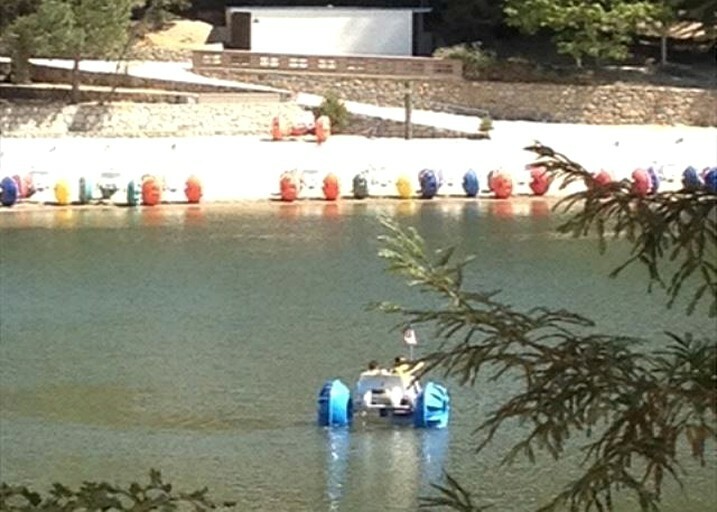 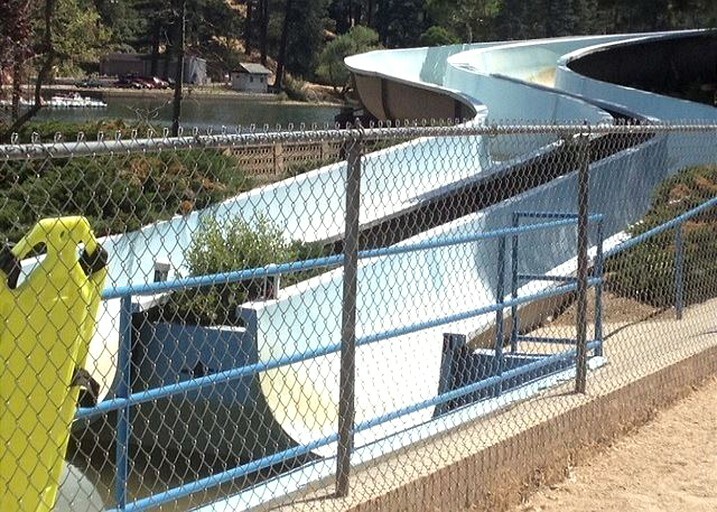 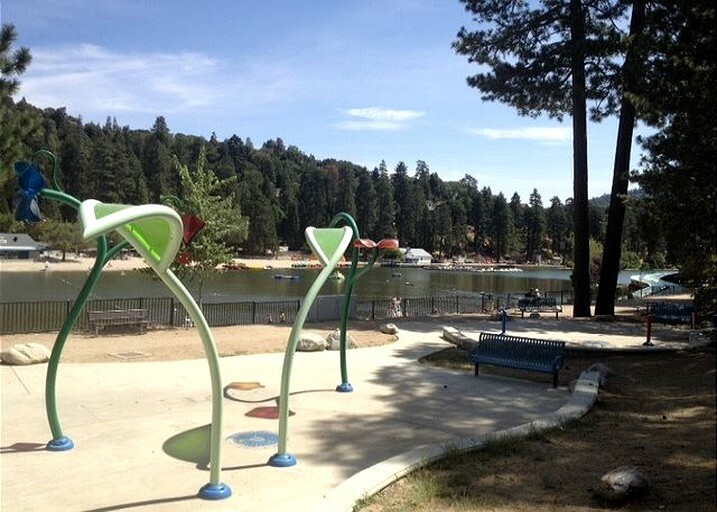 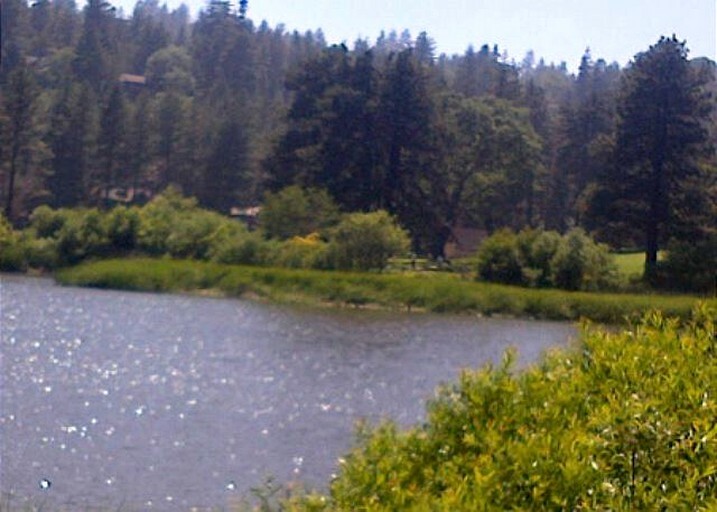 Lake Arrowhead also offers a selection of outdoor activities including skiing, fishing, hiking, and golfing. 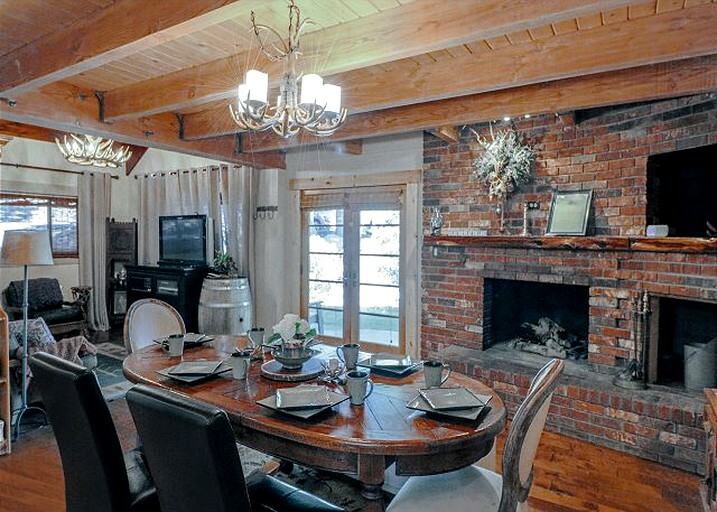 It also has a selection of shops and restaurants. 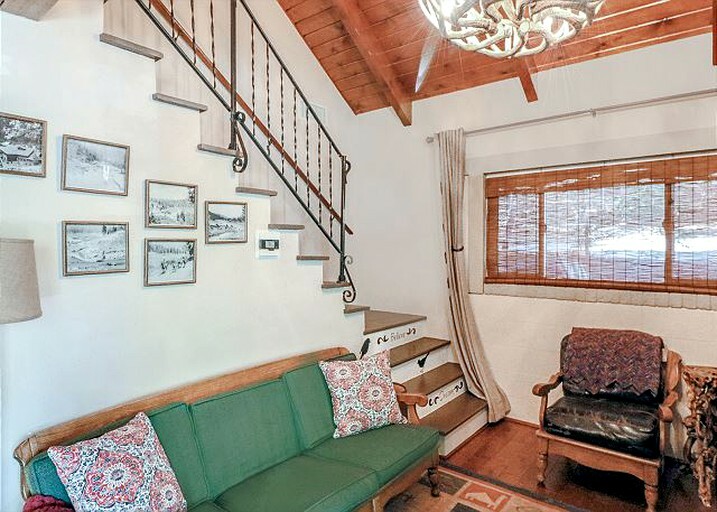 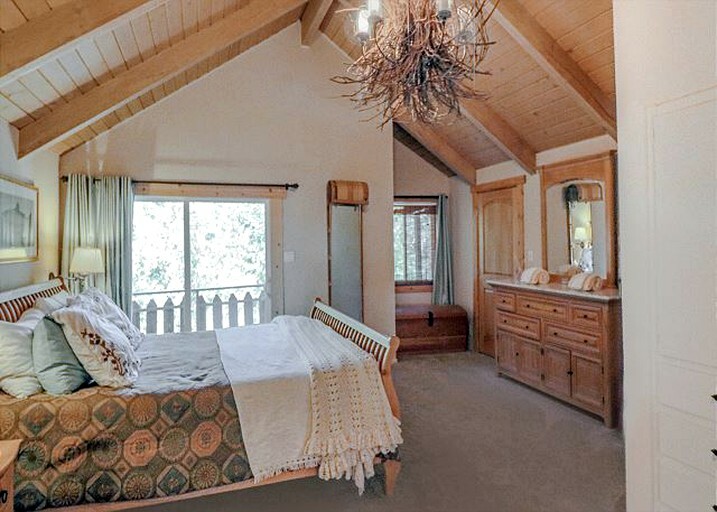 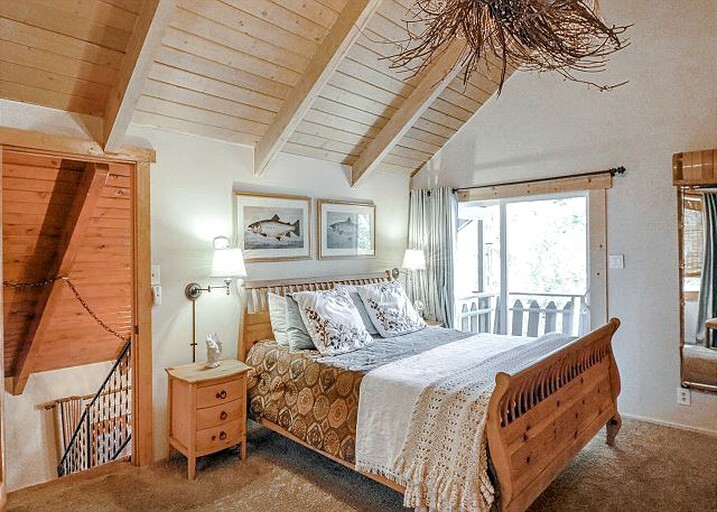 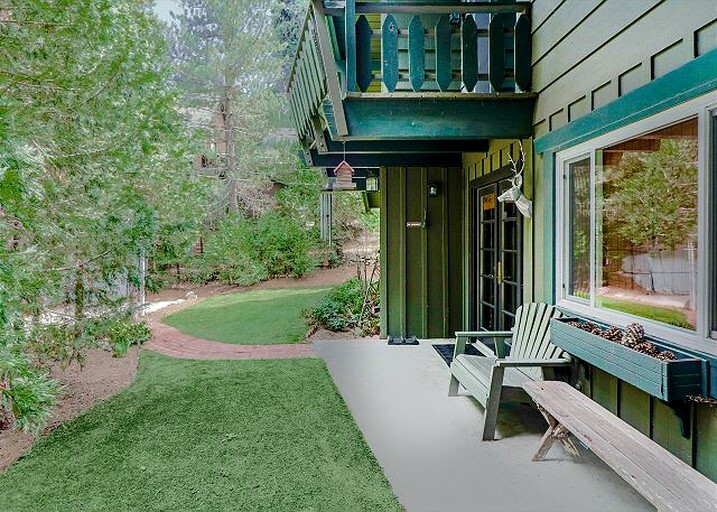 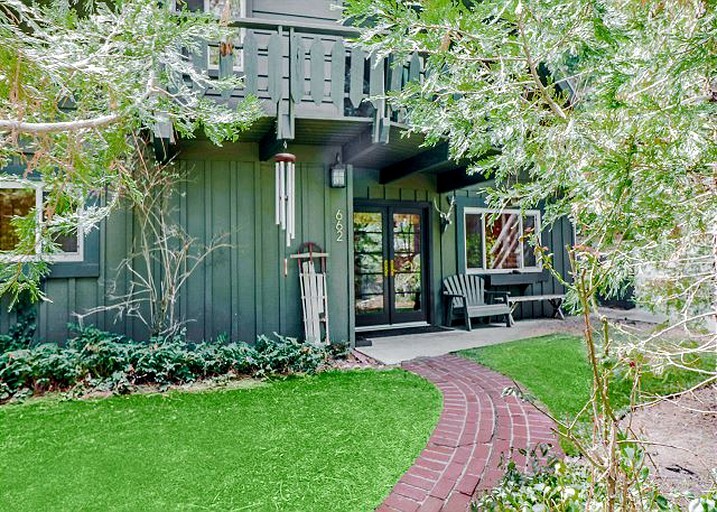 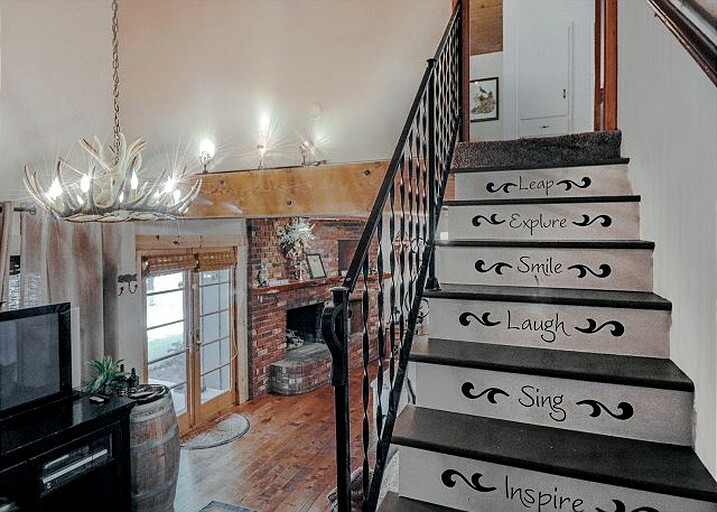 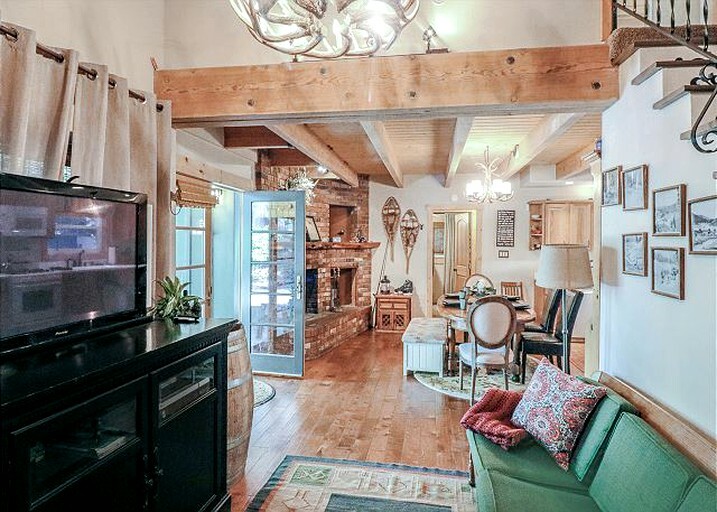 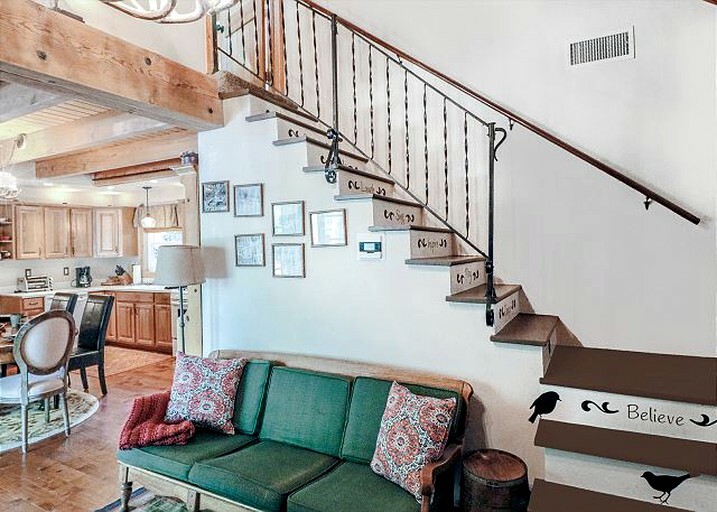 This property is also only 20 minutes from Big Bear, where guests can find prime skiing conditions, as well as boating, hiking, dining, and shopping. 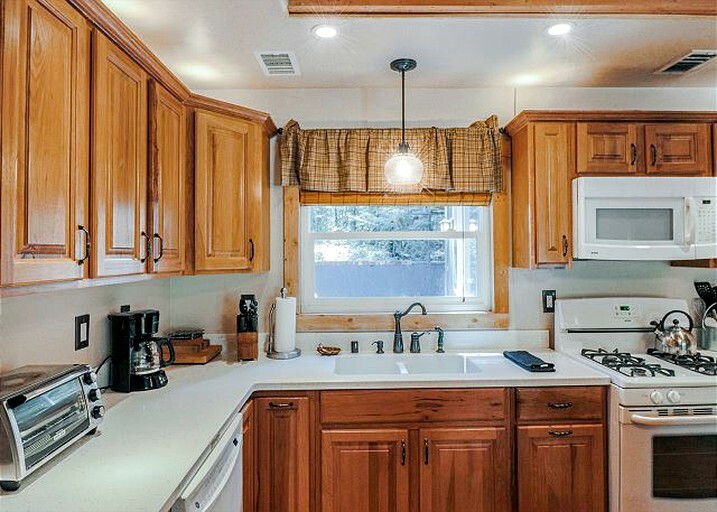 There is a fee for linens at this glamping site. 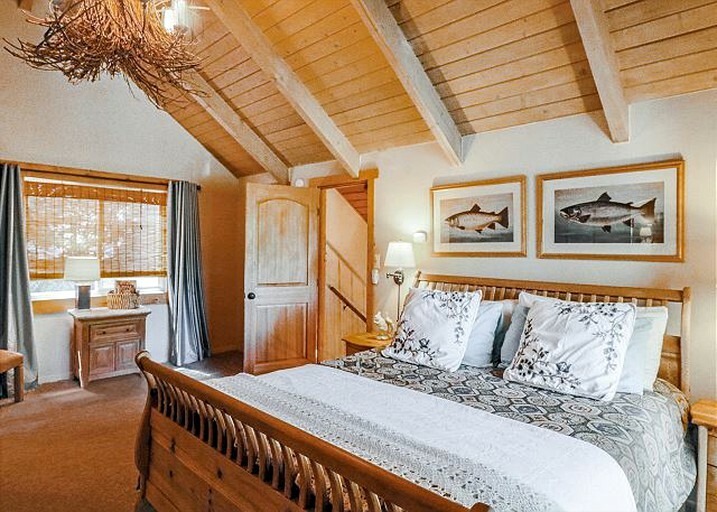 There is a four-night minimum stay at this location over Thanksgiving, Christmas, and New Year´s Eve. 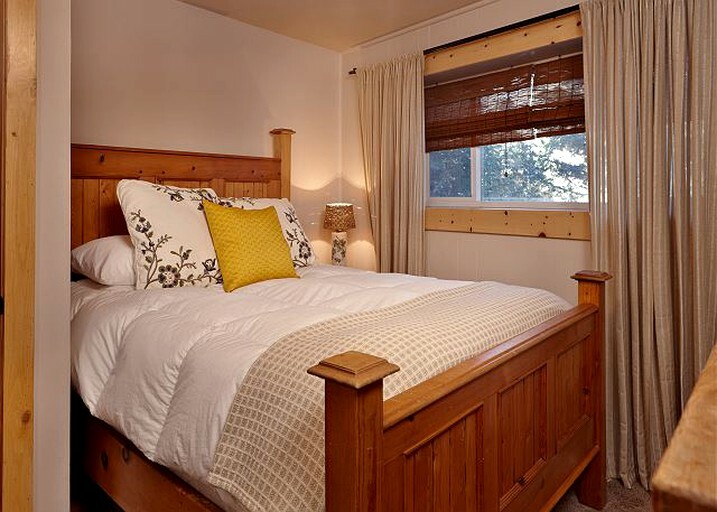 There is a three-night minimum stay over non-winter holidays. 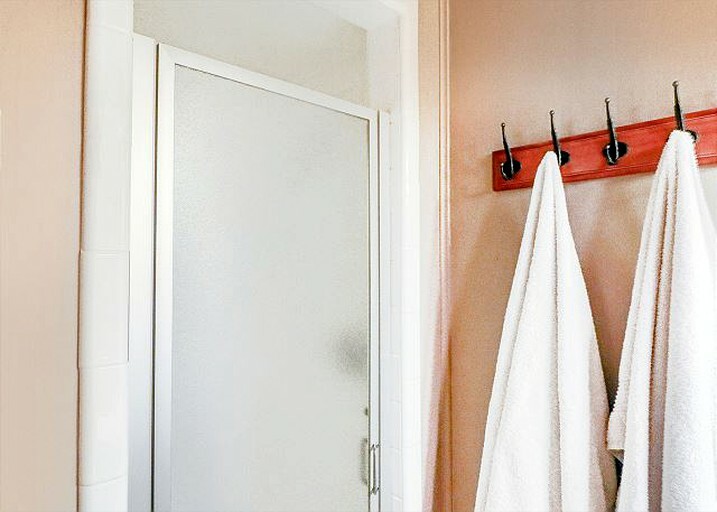 Rates vary over holidays and according to the day of the week. 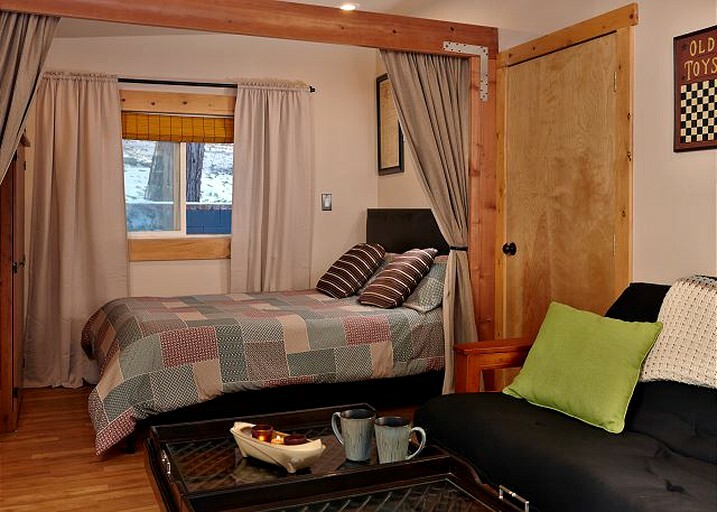 Pets are welcome to join in the glamping experience for an additional fee. 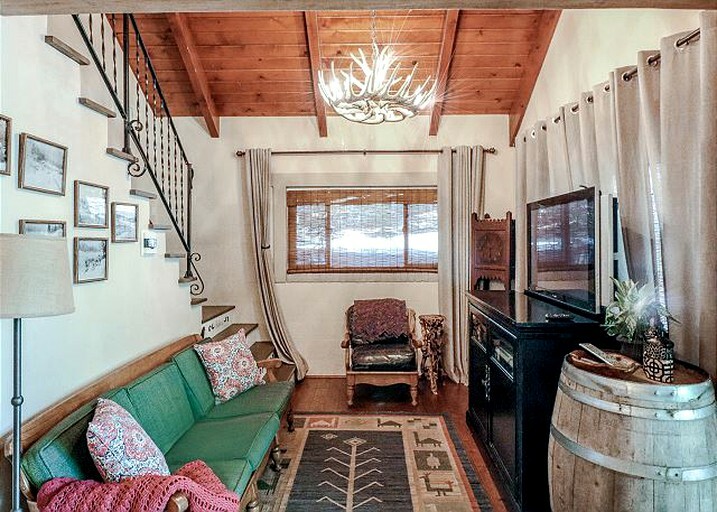 This outdoor cabin rental has no stairs leading up to it, making it accessible for the disabled. 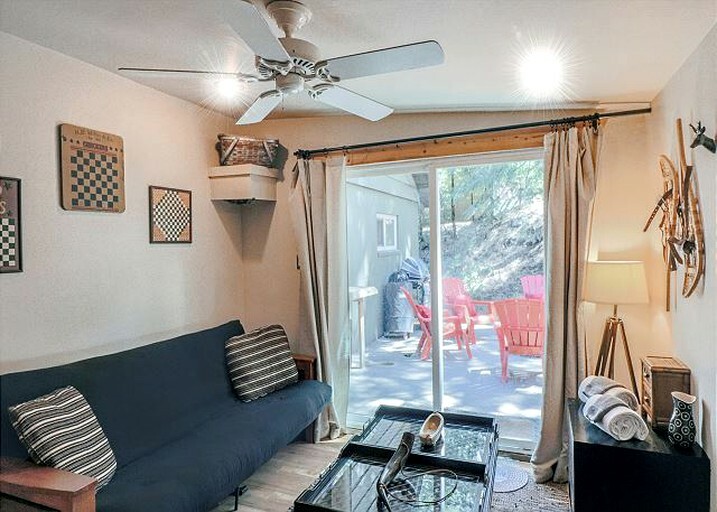 There are two bedrooms and a bathroom on the ground floor.